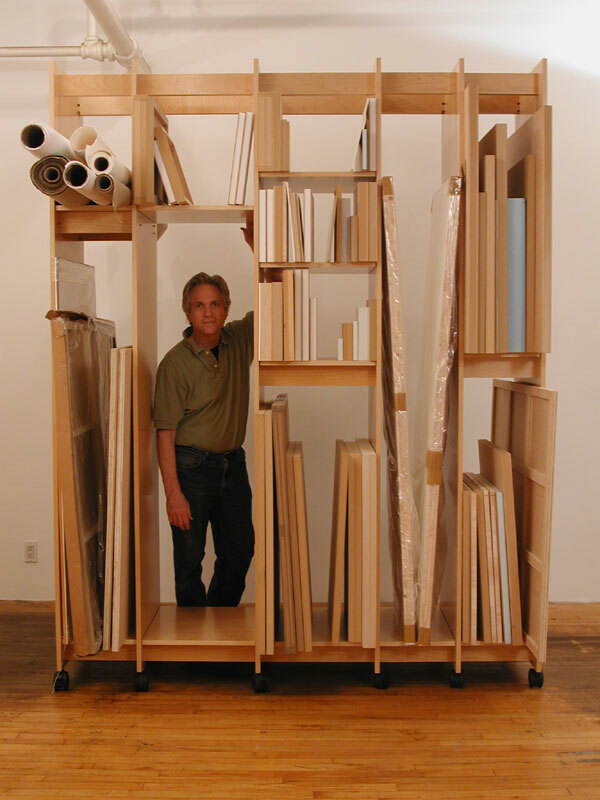 Art Storage System made for storing sculpture, paintings, drawings, prints, and all fine art. Art Storage System 95.25" wide. 18", 18", 12", 18", 12", 12". 95.25" wide, 99" tall, 23.75" deep.